From The Perfect Bridal Company, Bianca is a beautiful, vintage inspired, high heel wedding shoe, consisting of many elements, including delicate floral organza with a hint of glitter, over embossed satin, a pretty ivory satin ribbon tie and leather heel, finished with a scalloped soft leather trim. Made from luxurious materials, including leather and fabric lining and cushioned padding, your extreme comfort throughout the day is ensured. Perfect Bridal shoes are as beautiful on the inside as they are on the outside! 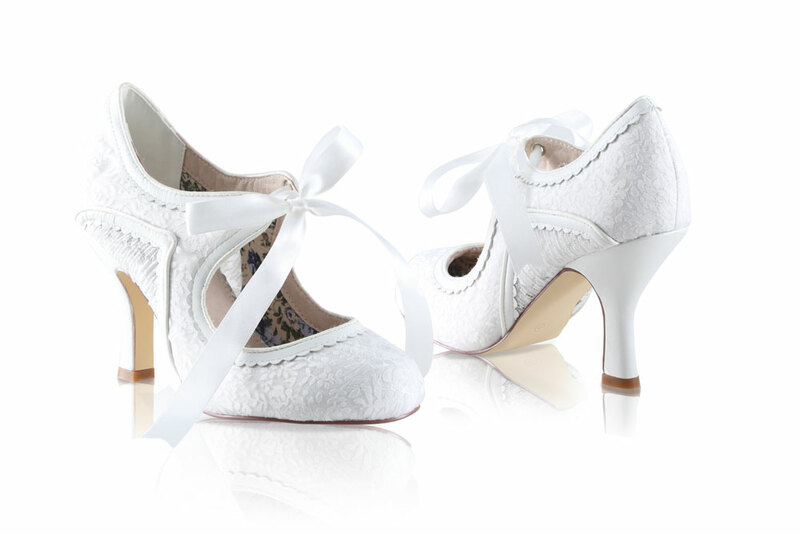 Click the button below to add the Perfect Bridal Shoes Bianca Lace Wedding Shoes to your wish list.